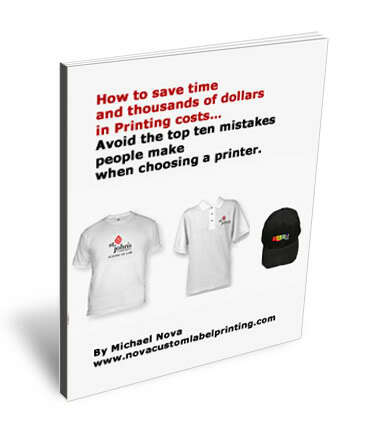 First of all, if a company offers several unique services or products that have different customer bases, it should consider designing a promotional t-shirt for each product to help the company promote the product to its own customer base, according to Ms. Wagner. Furthermore, the company can create each of these designs to feature the brand’s logo to unite the entire collection while building brand awareness among all potential customers. Next, says Ms. Wagner, companies should pass out their company’s t-shirt among the staff. Companies should ask employees to wear the shirts not only to work, but also to company social events, such as baseball games and picnics, where they can build familiarity with the company’s brand among people who have never heard of the company—or of the products they offer. If a company is a charity event sponsor, it should ask employees who participate to wear their company t-shirts to the event. Temporary staff that companies hire to pass out brochures on the street or at community fairs should also wear the t-shirts to build a lasting image of the company in the minds of those who see them. If a company is in the financial position to do so, Ms. Wagner advises, it should consider becoming a new sponsor of an event on behalf of a local or national charity. The company should then give away specially designed t-shirts which both showcase both the charity and the company to all participants. If the company can choose a charity and an activity related to their products or services, the promotional bang for the buck will increase. For example, if a company that sells water bottles wants to make a big splash, they may want to sponsor a run to benefit a local organization that provides health care to underserved populations. Athlete participants need water, and drinking water is essential to ensure good health. When that company makes a connection between its product and the promotional event, it will have promoted its business to two target populations: healthcare workers and athletes. A company that makes children’s clothing, on the other hand, may decide to sponsor a T-ball league for children whose parents cannot afford to enroll them in more expensive sports clubs. Another effective promotional tactic, says Ms. Wagner, is to involve a company’s customers and potential customers to take part in a contest to design the company’s next t-shirt. Companies should make sure that the prize makes it worthwhile for people to participate and do their best. The buzz created by such a campaign can create more brand awareness among potential customers as the word spreads about the contest. Companies can build on the buzz by promoting the contest on social media, the company’s website, and through press releases. Often local media will get in on the act, especially if it has been a slow news day. When the company chooses the winning entry, it should promote the design on its website, on social media, and through press releases. Finally, trade shows are a great way for a company to expose potential new customers to their work through branded t-shirts. Because trade shows are often casual affairs, a company should make sure that all of its employees who attend wear the company’s t-shirt. Doing so will help develop show attendees’ familiarity with the brand and its products. Companies should get contact information from qualified prospects who express interest in purchasing the company’s merchandise or services. After the trade show ends, advises Ms. Wagner, the company can follow up on these leads by sending the prospects branded t-shirts to build a sense of good will. Savvy companies will want to take advantage of these low-cost, high-return ways to promote their goods and services. Since most promotional wear companies have in-house designers, even small companies without a design staff can build awareness of their brand with wearable art.